If you are considering adding a pool to your yard, here are some of the mistakes you should look out for along the way. Adding a pool is an exciting thing, but many homeowners make small mistakes along the way that leave them with a less-than-desirable finished product. If you are considering adding a pool to your yard, here are some of the mistakes you should look out for along the way. Form follows function, and the same thing is true when building a pool. Before you can determine what type of pool you will be installing, you need to know exactly what you’ll be using it for. The type of pool that you purchase should be directly related to what you plan on using it for. If you are two retirees looking to add a hot tub or spa to your property, the last thing you should be designing is a lap pool! 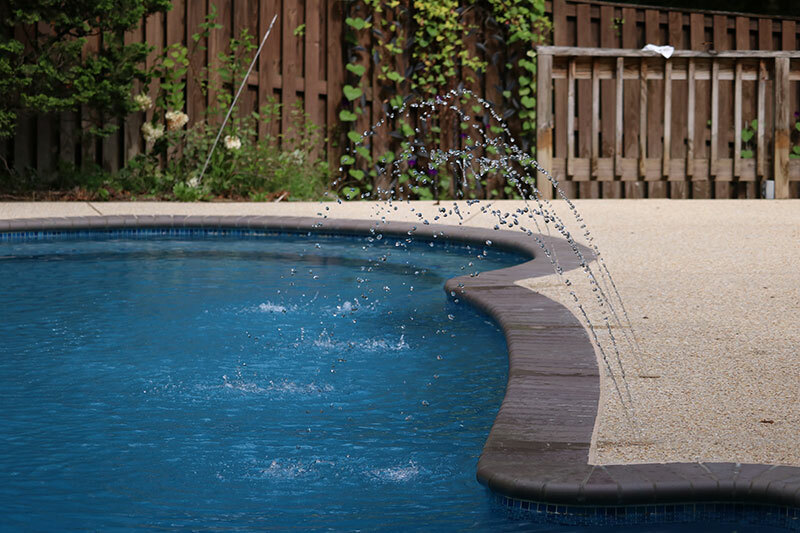 Work with your pool designer at Paradise Pools to make sure you get what you’re after. Many homeowners assume that a larger pool is what they need, especially if they have never purchased or maintained a pool before. However, larger does not equal better! Even if you want to enjoy your pool as a family, you don’t need as much space as you think you do. A shallow end provides enough space for your children to splash around, and you don’t need much space at all for adults to relax. If you choose to build a bigger pool with a deep end, you will be looking at only 35% of the pool being utilized—a huge waste of space and money! How will you enter your pool and protect those who shouldn’t be there alone from entering? You also need to plan out your pool fence and the paths leading to the pool. Many families choose to position the pool near a patio or outdoor kitchen for optimal use, and many other families add a stone or patio paver pathway leading to their outdoor oasis.